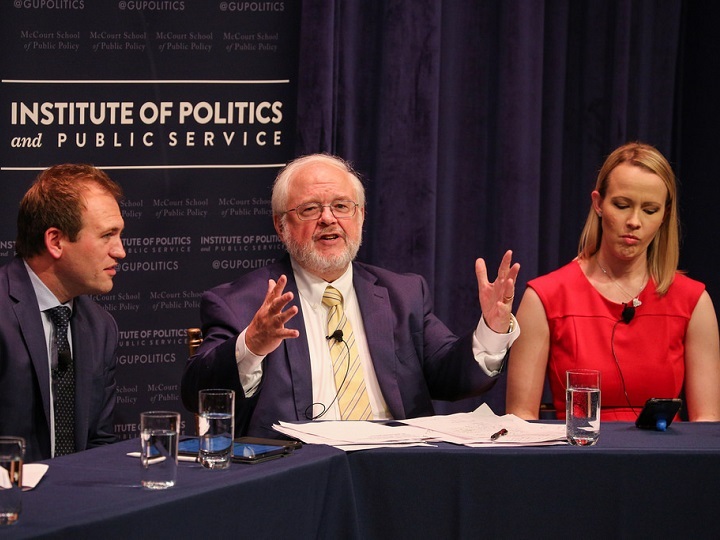 This was the second of three discussions on “Faith and the Faithful in U.S. Politics” and focused on the role of religious voters and communities within the Republican Party. It offered an analysis of the religious dimensions of the Republican Party, its coalitions and agenda, and the impact President Trump on evangelical, Catholic, and other religious communities within the GOP. How are religious communities impacting the Republican Party? of U.S. politics and Republican relationships with religious voters? How do (or don’t) evangelicals, Catholics, Latinos, African Americans, and other voters find a home in the GOP? How can religious convictions on human life and dignity, a priority for the poor, and protection for religious freedom be advanced in the Republican Party, and in a pluralistic and increasingly secular society? Does religious faith contribute to polarization, or can faith help overcome divisions, turning cynicism and anger into hope and the pursuit of the common good? 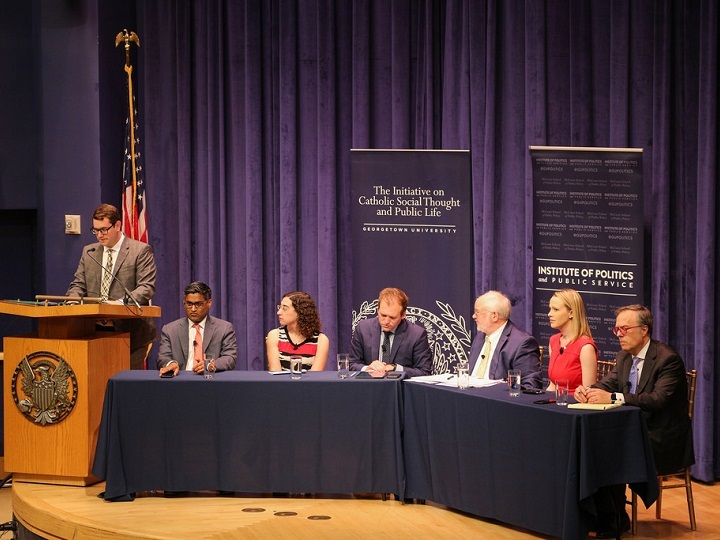 This series was co-sponsored by the Institute of Politics and Public Service at Georgetown and the Initiative on Catholic Social Thought and Public Life and was supported by the Democracy Fund. 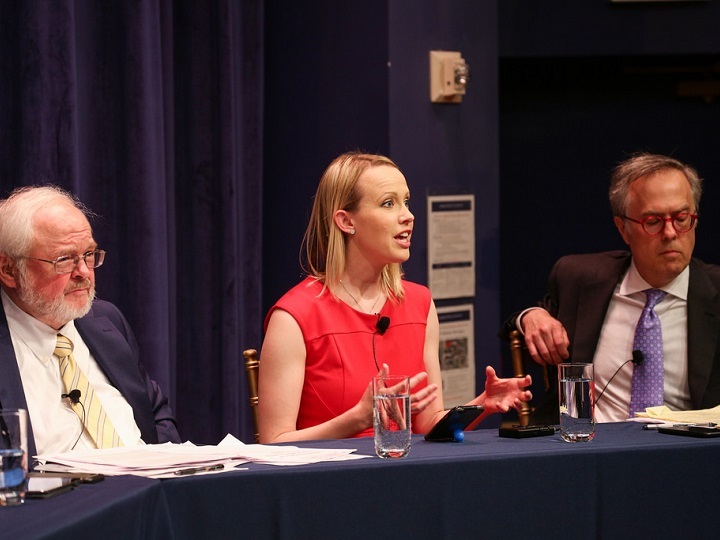 Emily Ekins is a research fellow and director of polling at the Cato Institute. Her work covers the Tea Party movement, moral values, and public policy; she has also conducted research on public opinion, American politics, political psychology, and social movements. 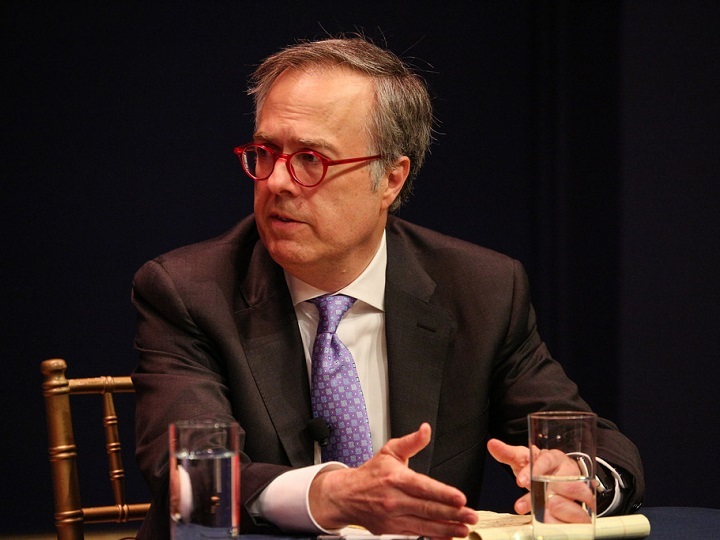 Michael Gerson is a Washington Post columnist and host of the new public affairs show In Principle on PBS. He was a speechwriter for President George W. Bush. He is the author of Heroic Conservatism and co-author of Religion and Politics in a New Era. Rev. 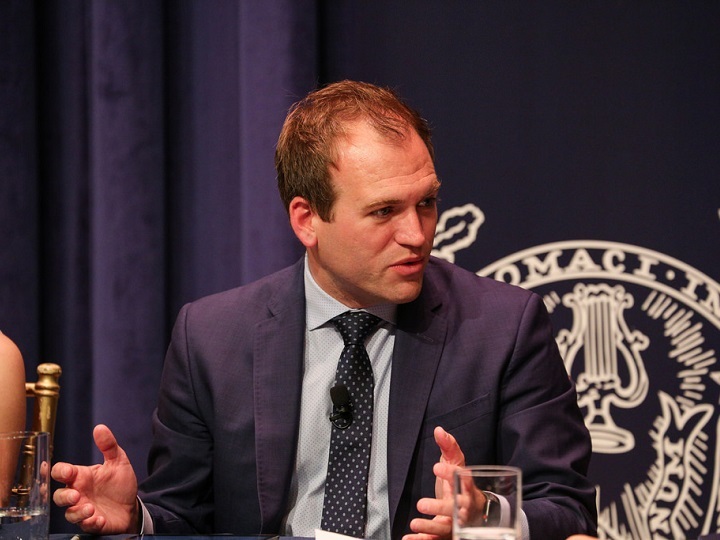 Johnnie Moore is an informal advisor to the Trump administration who is known for his multifaith work on behalf of persecuted Christians. In 2017, he was named one of the most influential evangelicals in U.S. Newsmax Magazine and one of the evangelicals that made the most impact by the Christian Post. Moore serves on the board of the National Association of Evangelicals and the Anti-Defamation League of Los Angeles. 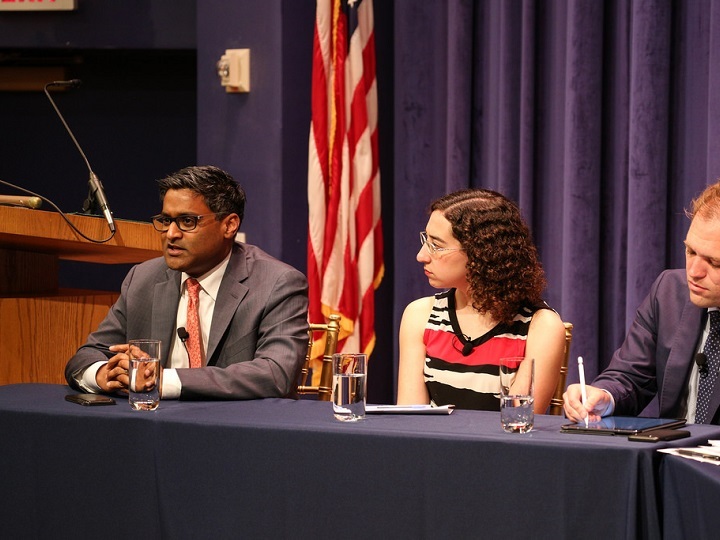 Ramesh Ponnuru is a columnist, senior editor for National Review, and a visiting fellow at the American Enterprise Institute. 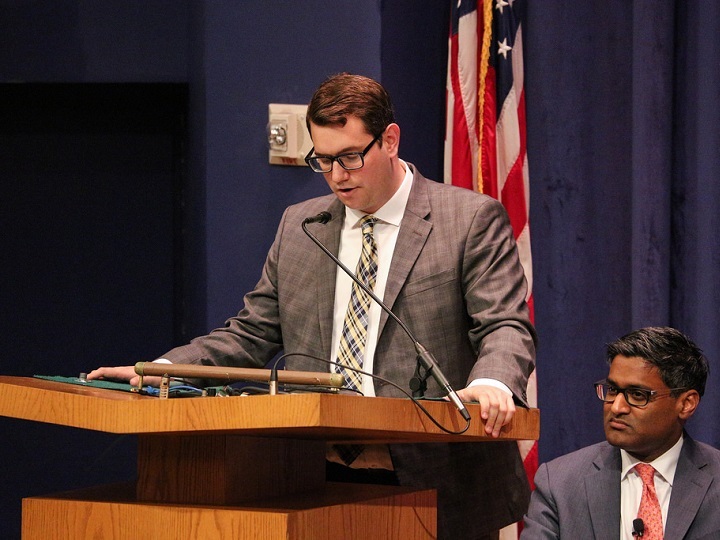 He is the author of The Party of Death: The Democrats, the Media, the Courts, and the Disregard for Human Life and co-editor with Yuval Levin of Room to Grow: Conservative Reforms for a Limited Government and a Thriving Middle Class. 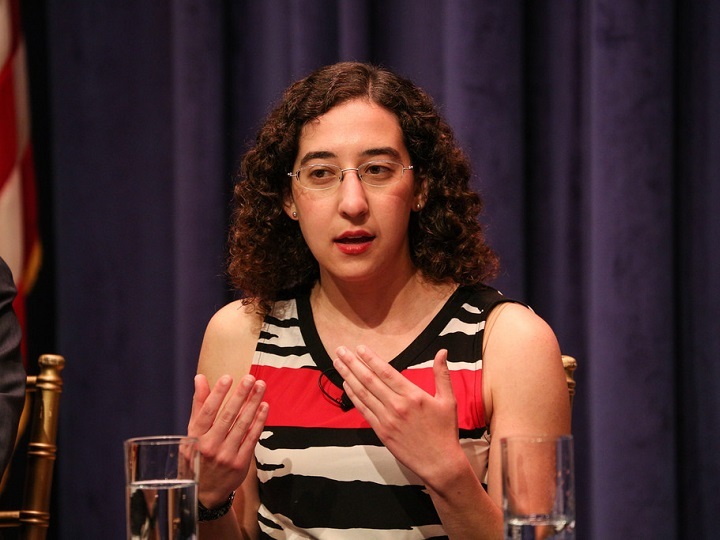 Julie Zauzmer is a religion reporter for the Washington Post and graduate of Harvard University. Zauzmer is a member of the Religion News Association and previously worked at the Philadelphia Inquirer.